茶 Time with You~. . HD Wallpaper and background images in the K-ON! club tagged: k-on! mugi mio azusa yui ritsu. 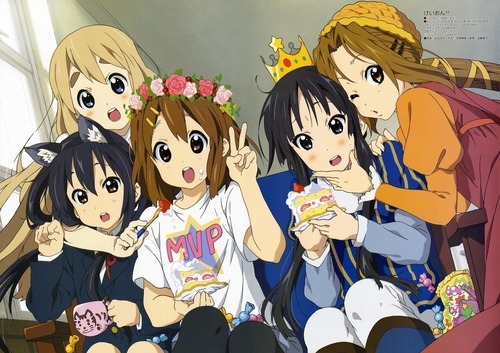 They are so cute (unless Azusa she is weird, in my opinion) is missing for eleven days that kinakomochi?